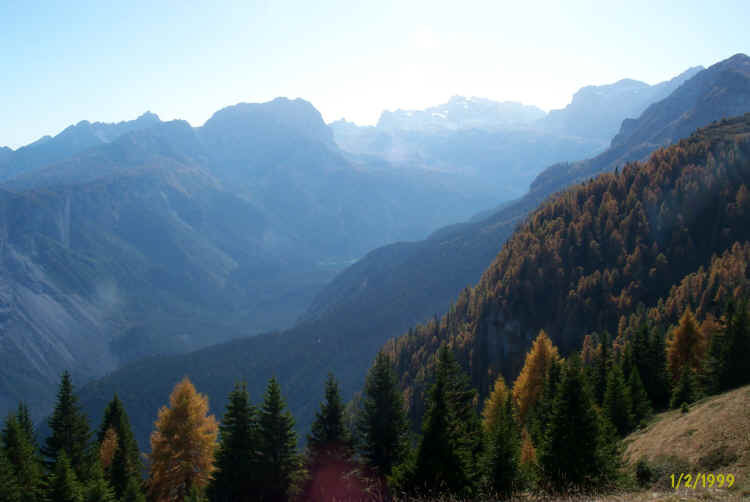 Hiking in the Brenta Dolomites in 4 stages starting and finishing in Andalo , Trentino. 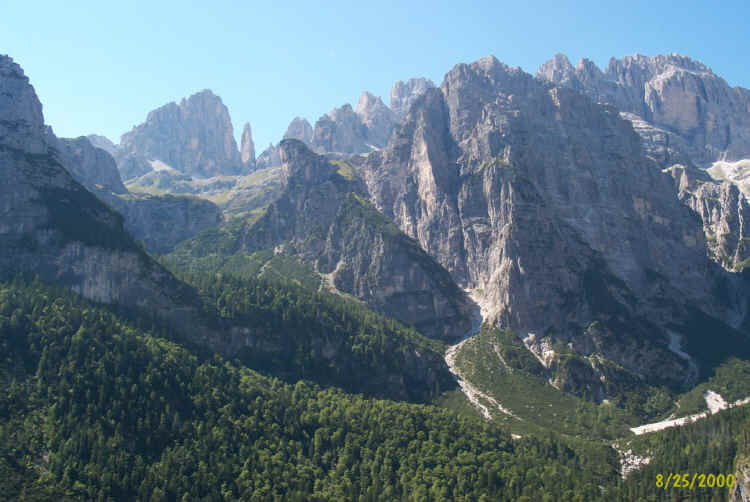 Hiking in the Sporeggio Valley, Campo Flavona, Vallesinella Valley, Brenta Valley, Massodi Valley and Seghe Valley. 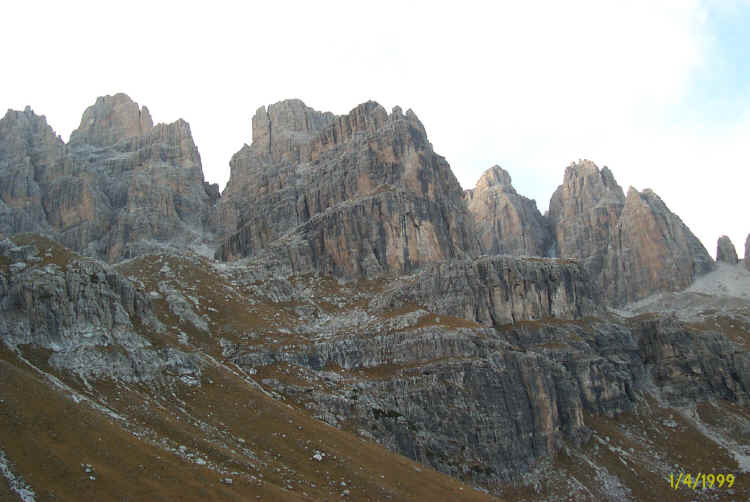 This hike takes four days’ walking and passes close to the main peaks of the Sfulmini and Grosté chain. 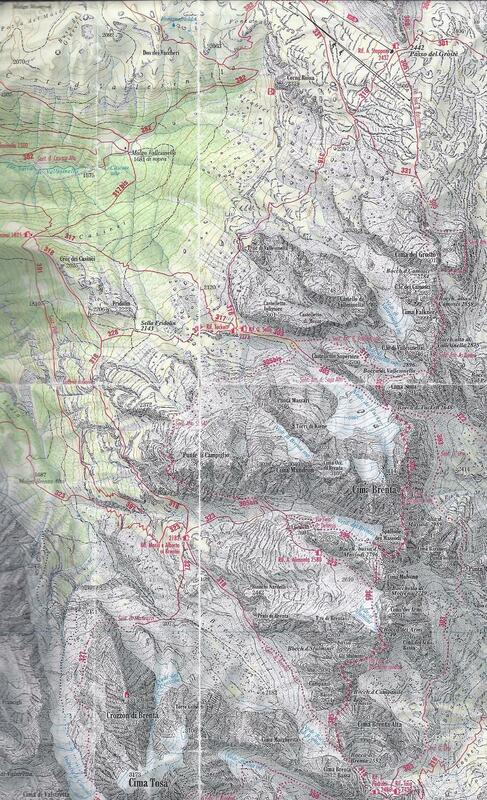 The starting and finishing points are in Andalo and the highest point is the Bocca di Brenta peak at 2,552 metres. 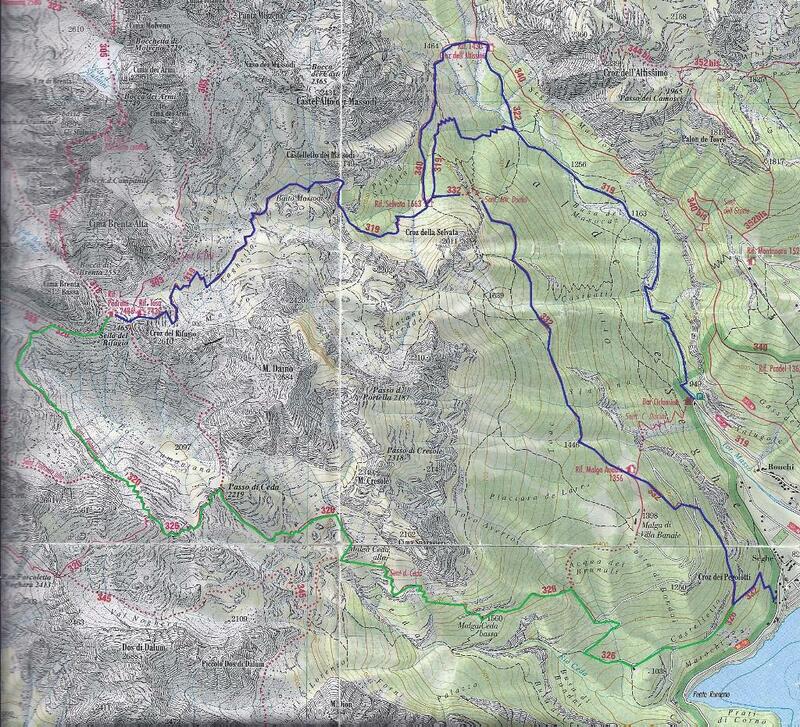 This is a relatively easy route without any technical difficulties. 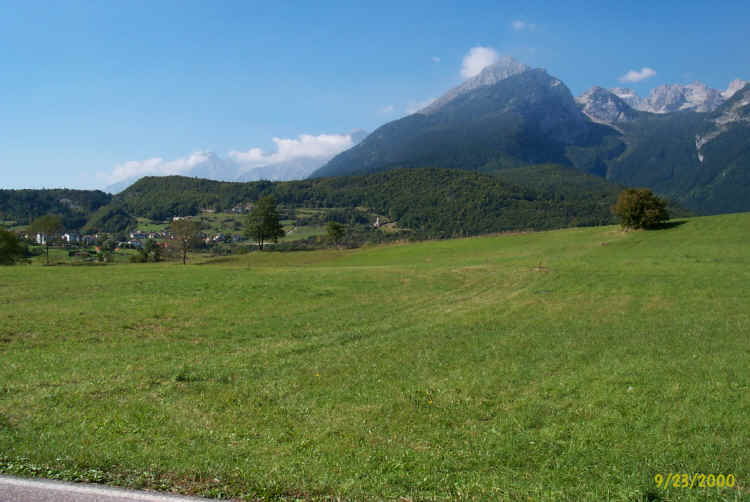 The Malga Spora only serves food in the summer months: for overnight accommodation in June, September and October, it is best to phone the Pro Loco Spormaggiore tourist office (0461-653637) or the Spormaggiore town hall (0461-653555). 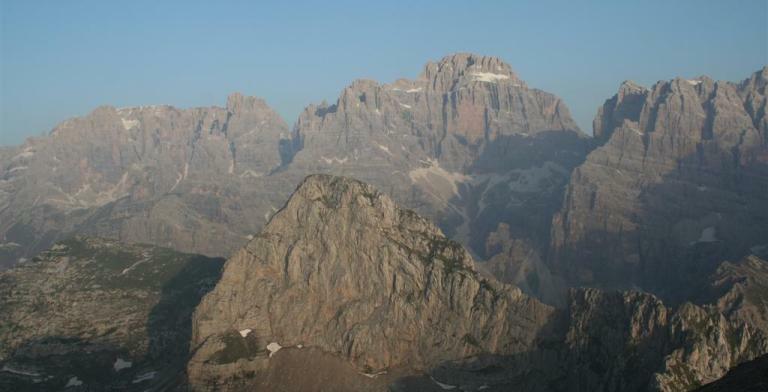 The highest point of the hike is the Bocca del Tuckett peak at 2,648 m. This hike is recommended for those who are reasonably fit and wish to experience high altitude hiking without being overwhelmed by the difficulty. NB: the times between points given in the tables refer to an average walking speed (about 300-350 metres of difference in height per hour going uphill, about 500 metres going downhill and about 3 km on the flat), they do not include stops and they assume normal weather conditions. 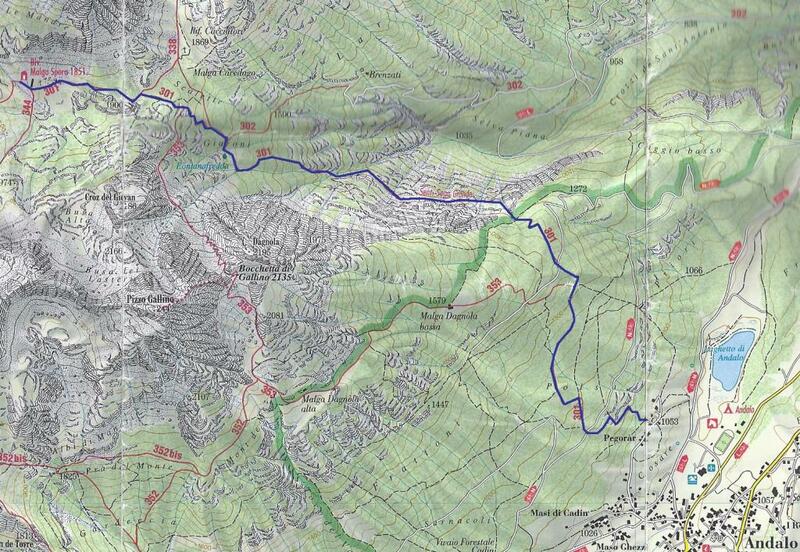 Description: the least tiring route for climbing up to the Malga. 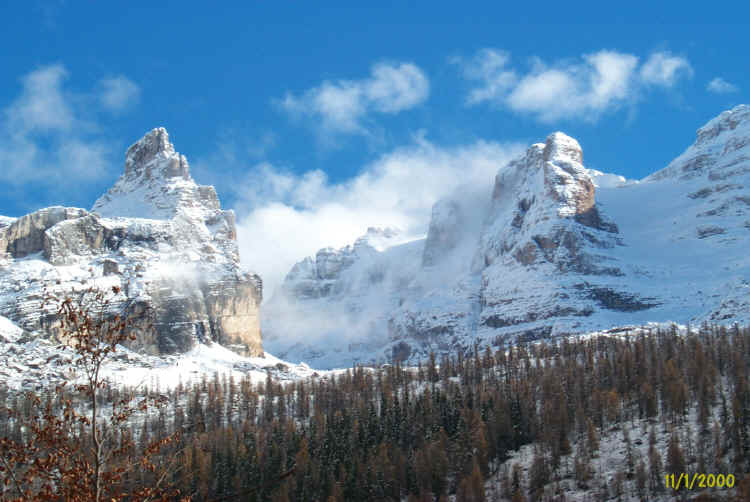 Sfulmini, Torre di Brenta, C.Armi, C.Molveno.